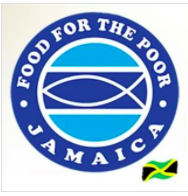 Food For The Poor (FFP)-Jamaica is the largest charity organization in Jamaica. Food For The Poor Inc., located in Florida, USA, is the largest international relief and development organization in the United States. It is an interdenominational Christian organization that assists the poor in 17 countries in the Caribbean and Latin America. FFP-Jamaica partners with a number of stakeholders including churches, non-governmental and private sector organizations, children's homes and service organizations throughout the island that deal directly with the poor to fill their most urgent needs and to encourage self-sufficiency. The work of Food For The Poor is funded by donations. Our goal is to improve the health, economic, social and spiritual conditions of the men, women and children we serve through emergency relief aid and programmes in the areas of housing, food, medical, water, sanitation, education, agriculture, outreach and micro-enterprise.